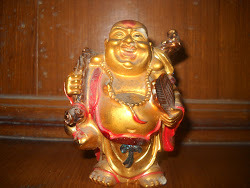 Sudatta was a wealthy merchant of Savatthi. 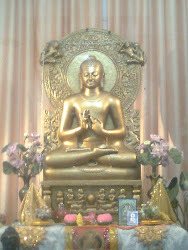 He came in contact with Buddha at Rajagraha.When Sudatta heard the discourses of Buddha, he learned that nothing happens in this world without a cause.Buddha advised him to follow the noble eight fold path of liberation.One who uses his money and property for the welfare of his family,friends and relatives and humanity remain in peaceful state.Whatever one is doing should be done with honesty and sincerity .Sudatta realised that Dhamma taught by Buddha was universal and relevant.He realized that Four Noble truth and the noble Eight fold Path od Sila,Samadhi and Panna are real remedy for the ailing world. 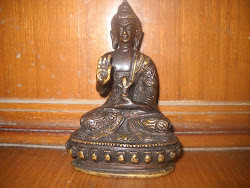 He requested lord Buddha to come to Savatthi where He wanted to contruct a monastery.Seeing the dedication of Sudatta Buddha accepted the offer.Sudatta returned To Savatthi and started looking for a place that is calm and peaceful but is not far away from the city.He came accross a pleasure park belonging to King's son Jeta. Sudatta approched Prince Jeta but he refused to sell the park to Sudatta.To avoid him he laid down the condition that he can take the park if he can lay all the park's land with gold coin.Sudatta accepte the offer. Sudatta started bringing cartloads of Gold coins and spreading them in the park.When he had covered two third of the land with gold coins the treasure of Sudatta was spent.Seeing the dedication of Sudatta ,Prince asked for the purpose for which he was paying such huge price.When Sudatta told him that he wanted to build a monastery on this land for the betterment of humanity,where Buddha will teach Dhamma to people.The Prince donated the rest of the land to Sudatta.Later Buddha spent many rain retreat at the Jetavana Vihara.